NConf is a PHP based web-tool for configuring the Nagios monitoring software. 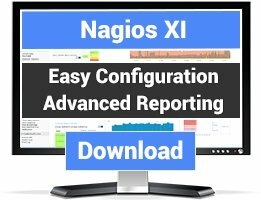 It differs from similar tools by offering enterprise-class features like templates, service to hostgroup assignment, dependencies and the ability to configure a large-scale, distributed Nagios server topology. I've used NConf for a long time, and while not quite perfect, it does an excellent job. 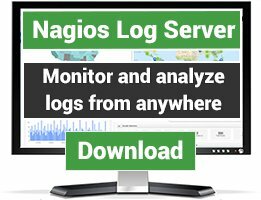 It works great on Ubuntu 14.04 and Nagios Core 4.2. It doesn't seem to like PHP 7, so I've had a tougher time getting this to work on Ubuntu 16.04. The website says NConf is not being actively developed, but I'm hoping that changes. At the moment, I'm looking for something to replace NConf, due to the development inactivity, but personally haven't found something I like more. Is this project being worked on? Would love to use this tool, but the instructions are not current and do not work with CentOS/RedHat 7. Any change this can be updated? It was night mare to import the existing configuration. 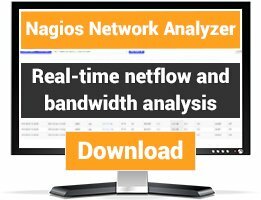 A lot of improvements are required, it might be good for new nagios installation. FYI - resolved issue with items not deleting. delete_item.php removes value from ConfigItems table but not from ConfigValues. Leaves orphaned objects in database. Went through the installer, and installed fine with user and no password, then refused to work without using a password. Fine, set a password and it starts out assuming you are starting a new deployment, importing is very manual, and I immediately had problems with importing my config. Great idea but I will keep looking. Generating the config file is a big issue. I've tried to change the path to the binary to no avail. Here is the massage that I keep getting "Error accessing or executing Nagios / Icinga binary" I'm using Ubuntu 12.04. Plugins is very powerful but bot able to use as after deleting the host it is not getting deleted from Mysql & giving error "Could not find any host matching 'hplj2605dn'" during Config Generation. Pl inform the option to delete ant host permanently through nconf.. If this tool offered a way to edit remote nrpe.cfg files, then it would be great. Other than that, its not much different than other tools out there. I am happy to announce that NConf release 1.3 will now allow service to hostgroup assignments, as well as assigning a service to multiple hosts. The issues you mentioned are therefore solved. I'm trying to use nconf for 271 host monitoring. Importing nagios existing conf was not so easy, specially with "parents" property -- parent hosts must be defined first. I had a big problem because used to assign services to hostgroups and this is not possible through nconf default install. Found a workaround: define a new attribute to for class service. However, the service is still assigned to a host and not sure about "collateral damage". Anyway, this is the power and flexibility of nconf: use a dynamic structure. I really want to like NConf. The user interface is well-thought out, and shows a lot of polish. The installation is easy. That being said, it's not ready for prime-time. Particularly crippling is the inability to assign multiple hosts or any hostgroups to a service - services must be assigned individually to each host. Even in a small installation, this is unacceptable. There are some other rough edges, such as buggy and poorly documented behavior when storing passwords in an encrypted format. This isn't meant to slam the NConf team - they're off to a great start. But for now, if you're managing more than a half dozen hosts you're better off someplace else. I am happy to announce that the features you were missing will be available with NConf 1.3 ! This version now has the ability to assign (advanced-)services to hostgroups or multiple hosts.